For the past few months, I have been systematically visiting different departments of NSCAD University and photographing them. The resulting images serve as a refreshing update to the website and give some insight into the different areas one can work in at the university. 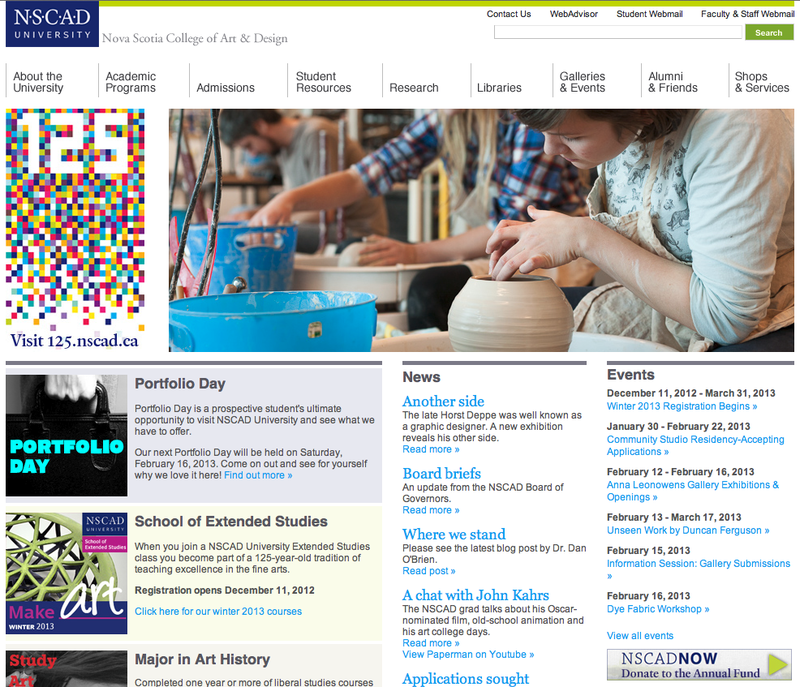 Check out NSCAD University's homepage to see a slideshow of some of the shots!